There was little movement on oil prices this week – a few down days and a few up days. WTI closed out the week trading in the mid-$40s, with Brent at $48 per barrel. Crude seemed to weather a huge bearish development – the EIA reported that oil storage levels surged for the week ending on October 16. Inventories jumped by 8 million barrels to 476 million barrels. That is the highest level in months and is close to the 80-year high seen in the spring of this year. Storage levels are filling up as refineries undergo maintenance season, and should reverse course in the coming weeks and months. Still, the sky-high inventories do not necessarily offer strong reasons for crude prices to rally in the near-term. Iran released some more details on its oil contracts this week, revealing some specifics on its reforms intended to attract international investment. For example, Iran will pay larger fees to operators than previously thought. It will also offer 20-year contracts. 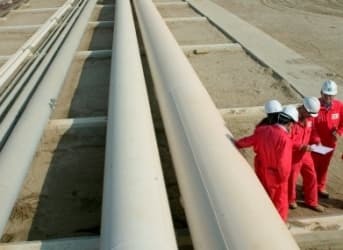 “What’s been announced so far looks like an attractive contract -- no doubt it’s a vast improvement on the buy-back contracts,’’ Robin Mills, of Dubai-based consultancy Manaar Energy, told Bloomberg in an interview. Related: Is Solar Without Subsidies Now Viable? The new contracts are seen as crucial to attracting the $100 billion in investment that Iran says is needed to develop its oil and gas industry. In the past, Iran only offered buy-back contracts, which paid companies fixed fees over a short period of time. There were few incentives to ramp up output and time horizons were short. International companies have said that they would likely not invest unless the terms were sweetened. The contract terms will officially be revealed in November. A list of companies are interested, particularly from Europe, such as Royal Dutch Shell (NYSE: RDS.A) and Total (NYSE: TOT). BP (NYSE: BP) and China’s government-owned CNPC announced a partnership agreement during Chinese President Xi Jinping’s visit to London this week. The two oil companies decided to parlay their successful cooperation on Iraq’s Rumaila field into something deeper. They pledged cooperation on developing China’s shale resources, with their sights set on the Sichuan Basin. Details are a bit vague for now, but both countries are holding up the agreement – along with separate deals on other sectors, such as new nuclear reactors in the UK – as evidence of a growing relationship. The UK went to great lengths to play down concerns over China’s human rights record, seeing the business opportunities between the two countries as paramount. Related: Is Russia The King Of Arctic Oil By Default? On a related note, the IMF estimates that if oil prices stay low, Middle Eastern oil-producing countries face a $1 trillion budget hole unless reforms are taken. Australian oil and gas company Santos (ASX: STO) rejected a $7.1 billion takeover offer from Scepter Partners, a group of “Asian and Gulf based high net worth families.” Santos has struggled with high development costs for Australian LNG export projects, but it called Scepter’s offer “opportunistic in nature and did not reflect the fair underlying asset value of the company.” Santos’ share price has lost 60 percent of its value in the last year. Royal Dutch Shell received approval this week to drill one exploration well off the coast of Nova Scotia. The Shelburne Basin, located off of Canada’s Atlantic coast, was once thought to be not a particularly desirable area, but Shell says that it has not been explored and thinks that the basin offers large oil and gas potential. Finally, North Dakota regulators loosened limits on the time they require drillers to complete their wells, extending the time limit by an extra year. The move is intended to provide a bit of leeway for struggling drillers that are putting off completions. The change will give companies two years instead of one to complete their drilled wells. It also means that the backlog of fracked wells – or “fracklog” – may not be worked through in the next few months as the law would have previously required. Is The Oil And Gas Fire Sale About To Start? "The UK went to great lengths to play down concerns over China’s human rights record"
Wisely. China's human rights record is slightly better than the UK's, as a quick perusal of the 30 paragraphs in the UNUDHR reveals.